What are the sneakers preferred by Meghan Markle, Emma Watson, Marion Cotillard and a variety of fashion influencers? We took a look… behind the French brand-phenomenon. 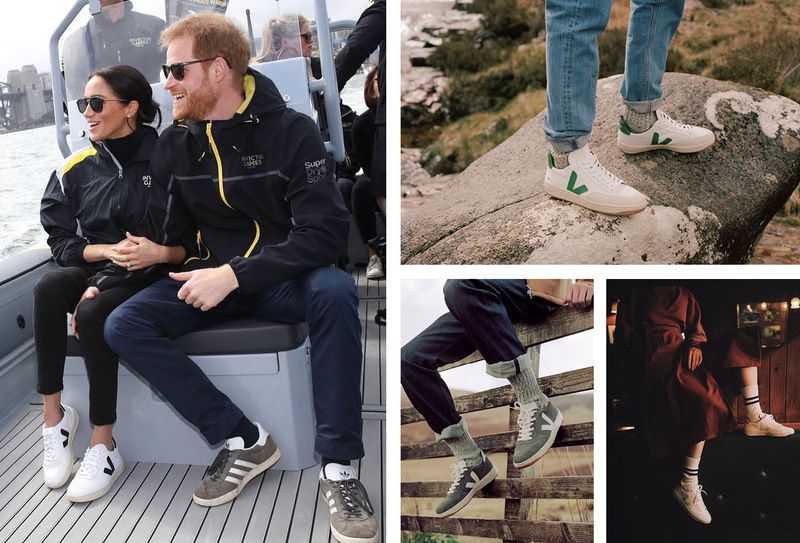 The general public may have met Veja only a while ago when the duchess of Sussex wore the “Esplar” model in a casual appearance during her formal visit with Prince Harry in Australia, but the stylish sneakers are in the “it” list of everyday fashion icons for several years now. Indeed, the famous French actress Marion Cotillard has shown in many different ways her love for the brand – from reports to magazines to postings to Instagram, and always with the note that it is not advertising. Besides, the owners state clearly that they do not give shoes or pay celebrities for indirect show: «Maybe it sounds a little too primitive, but it’s not our philosophy.» François-Ghislain Morillion and Sébastien Kopp’s “Child”, based in France, the Veja brand was founded some 13 years ago when they noticed the lack of ecologically conscious companies and products in their own production process. In the next tune, the twenty-five-year-old twin then travelled to Brazil, the “home” of the two raw materials needed: organic fair cotton from the north-eastern side of the country and wild rubber from Amazonia. «Initially, we worked with 20-30 families who collected Organic Cotton Fair Trade – and now the number of our associates has reached 750 people!» Says Kopp. As well as the selling points of their famous shoes. From Net-a-Porter to Farfetch and Moda Operandi and from Galeries Lafayette in Paris to Barneys in New York, all of the hot stores on the planet (with a physical or online presence) sell French eco sneakers. And I suspect that after the appearance of Meghan Markle the brand has been well into mainstream choices of thousands – perhaps millions – of women. Although the philosophy of the company is transparency, its founders do not “supersede” their green attitude in the footwear packages. «Full information can be found on our site,» explains Kopp. Indeed, this relaxed and low-key marketing approach is also reflected in the brand’s designs. After all, both Kopp and Morillion refuse to choose between social responsibility or style. Their sneakers are made of raw materials derived from organic farms and ecological crops, without chemical or polluting processes. At the same time, the B-Mesh material used by Veja in its shoes is made of recycled plastic bottles (specifically, each pair corresponds to 3 plastic bottles) that have been processed to create a “smart” fabric that is both waterproof and at the same time breathing. In addition to raw materials, all shoes are made in Brazil in a factory that respects workers’ rights while Morillion and Kopp visit it every year to make sure that the conditions for proper operation are met. The twin states that it attaches particular importance to every stage of the production process, from finding the materials and the right collaborators to the right planning. And although they have never been involved with design, beyond businessmen, over time they have also become designers. «The aim of our studio is simple: to create quality shoes that will last in time. We love designing sneakers that we will be proud to wear even after a decade».